1. 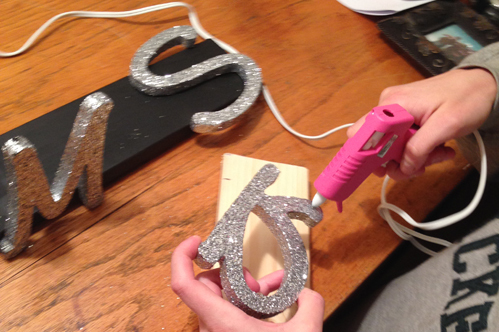 Use the foam paint brush to apply a layer of Modge Podge to your wooden letters. 2. 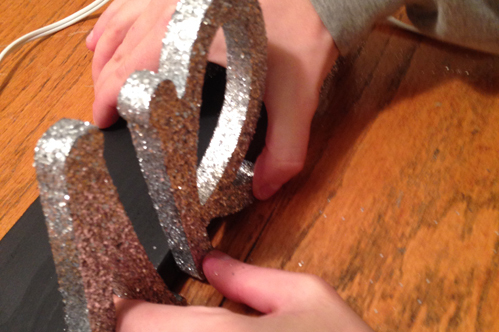 Before the Modge Podge dries, sprinkle glitter on all surfaces of each letter. It’s best to do one letter at a time, so the Modge Podge doesn’t dry. 3. Set letters aside. I put the letters inside of a cardboard box, standing upright. Let dry. 4. 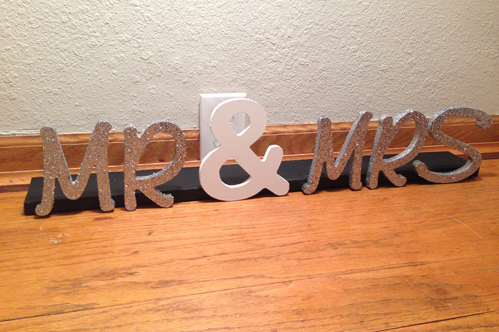 Once letters are dry, touch up any spots that need it with Modge Podge and glitter. 5. Spray with finishing spray. 6. Cut a flat piece of wood the length of your letters. Since I was using a black tablecloth, I spray painted the wood black to blend into the table. 7. 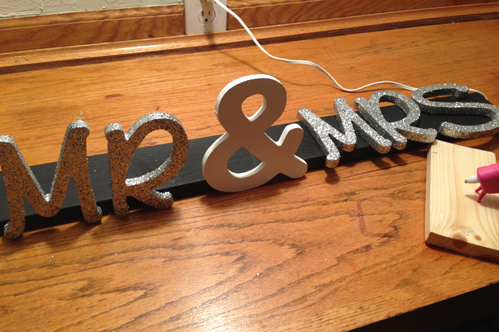 Use a hot glue gun to glue each letter to the front of the wood base. Press and hold. 8. Once each letter is in place, let dry. 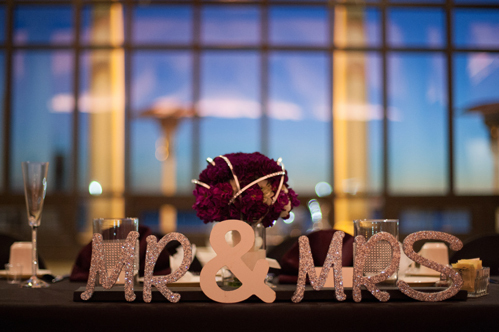 And remember – pack your glue gun in your wedding day emergency kit, incase you have to make a last minute fix. Then – admire!